What if cities used parking fees to improve public transit? Toronto has been doing just that, to the tune of roughly $50 million per year. In the U.S., Boulder, Colorado uses revenue from public parking garages to fund bus passes. After the slow and quiet demise of the streetcar proposal, the City has been sleeping with regard to transit planning. If the City expects voters to side with them they are going to have to show that they understand the connection between parking supply and transit/mobility by using parking revenue to address the mobility needs of city residents. The potential increased revenue from the MPA could be leveraged to bring premium transit expansion to the city. The long planned streetcar, the Brickell Metromover loop, and other local city projects must have local support and funding. As our downtown and surrounding suburbs densify and become ever more urban, City of Miami officials will not be able to look to the County to solve their mobility problems. 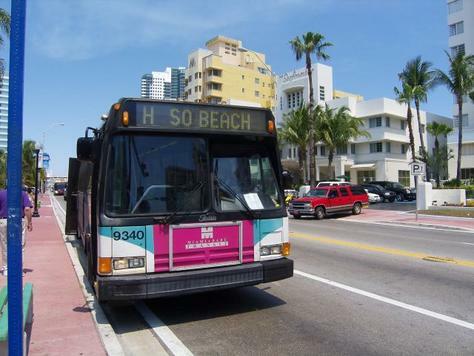 The proposed MPA restructuring could be the beginning of an overhaul of how the City of Miami fulfills its mobility needs. The city of Miami will ask voters to determine the future of the MPA in November, according to The Miami Herald. The city’s mayor, Tomás Regalado, has suggested the agency’s $23 million in annual revenues could be leveraged to borrow money to replenish the city’s reserve fund. The MPA has been contributing between $1-2 million to city coffers annually. Also on the Network today: Bike Portland reports on a study that found the city’s “bike boxes” have made cycling safer. And Bike PGH and My Wheels are Turning inform readers about PARKing Day events in Pittsburgh and Traverse City, Michigan. The event encourages people to convert metered parking spaces to temporary parks — bring your own lawn chair. The Clipper card is not ready for prime time. Out campaigning with BART candidate Bert Hill the other day we encountered a tourist from Boston who had purchased a Clipper card and loaded up money on it online. He found out later that his card would not be activated for 72 hours — after he had already left the Bay Area. I’ve had my own problems with using it on Golden Gate Transit (where there were no signs that said that I had to click off — on Muni all I have to do it click on). My card was deactivated after I didn’t click off. The Translink/Clipper customer service rep gave me wrong info about why my card had been deactivated (because she has not been well-trained) in the first phone call. When I called her back, we got it right — but the answer to my problem card was that I had to go to a BART station booth and have someone reset my card. At the BART station at 16th and Mission, the person in the booth agreed to do that, but said that was not the job of BART station staffers. Will Miami Take the First Step Toward Parking Reform? Nottingham, England, is winning recognition around the U.K. for its successful commuter parking program, which charges employers for the spaces they provide to employees and directs the revenue to transit.